* You may upload UNMODIFIED versions of the patch to any website of your choosing so long as the documentation is retained as-is. All credits must be properly maintained. * Translation of the unofficial patches into other languages is permitted so long as the English documentation is also included and all credits are properly maintained. * Assets such as mesh files (.nif), textures, scripts, audio files, and other things found in the BSA may be freely used as the basis for your own work in order to help prevent fixes from being lost due to work starting from broken vanilla assets instead. * You are permitted to use the unofficial patches as master files in your own work for the purpose of ensuring that fixes are not lost. Please try to be sure any changes to things which have been fixed do not cause further problems as we will not be able to provide support under those conditions. * Altering fixes is specifically prohibited as this tends to lead to serious problems. If you think you've found an issue with a fix, please report it to us. Do not simply upload something that amounts to "this is the right way to do it" because more often than not, this turns out to be false and people mistakenly believe we are at fault when we are not aware of what's been done. Quarn - For compiling together the initial release, including all of the adjustments after Bethesda's gigantic update in February of 2013. Nico coiN - The much improved version of the Tamriel objects normal map which includes Castle Volkihar for Dawnguard. Madcat221 - The missing hi-res envirionment map for Stalhrim shields. This mod is no longer being supported and will receive no further updates. A comprehensive bugfixing mod for The Elder Scrolls V: Hi-Res DLC, the goal of the Unofficial Hi-Res Patch (aka UHRP) is to eventually fix every bug with the Hi-Res DLC not officially resolved by the developers to the limits of the Creation Kit and community-developed tools, in one easy-to-install package. - Hundreds of gameplay, quest, NPC, object, item, text and placement bugs fixed. - Created by the authors of the Unofficial Oblivion Patch series. - No unsafe changes (such as deletions of stock objects). - Designed to be compatible with as many other mods as possible. For more information (ie the recent changelog, mods that the UHRP replaces) see the USKP's threads on the AFK Mods forum here. The complete changelog is posted here. If you're experiencing a bug with the Hi-Res DLC, please report the bug to us in as much detail as possible on the USLEEP bugtracker. Please use search to ensure that you aren't submitting something that is already there. 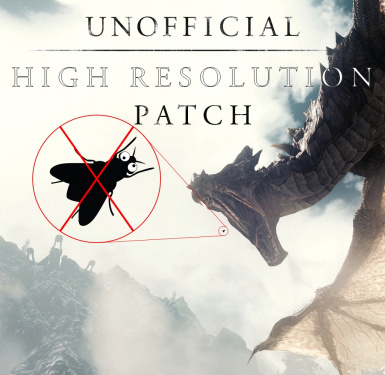 Unofficial Skyrim Legendary Edition Patch - Fixes numerous bugs in the vanilla game and the official DLCs. For getting load order set with other mods loaded, please use LOOT. It will provide you a solid starting point for everything that you can then tweak as needed. BOSS_API_ERROR_INVALID_ARGS: Master files must load before other plugins. The mod was not installed. - Uninstall and delete all the Unofficial patches in NMM. - Download and install all of the updated Unofficial Patches. - Run LOOT to sort your load order. Make sure your load order is right! Use LOOT - you'll enjoy life more. Check for: dragonactorscript.pex and/or mqkilldragonscript.pex. Remove them if present. They are from dragon mods that came as loose files. DSAMG - Dragon Soul Absorb More Glorious, and Diversified Dragons are known to cause this. Those mods need to be updated with a Dragonborn patch that incorporates the fixes from the UDBP. Others may be a factor as well. Note too that the offending mod may have the script packaged inside a BSA. That will need to be handled by that mod's author.